Covered call writing and selling cash-secured puts involves investing our hard-earned money. Did you ever wonder who guarantees these trades? It’s not our broker or even our broker’s clearing firm. It’s the Options Clearing Corporation or the OCC. This is an organization that acts as both the issuer and guarantor for option and futures contracts. 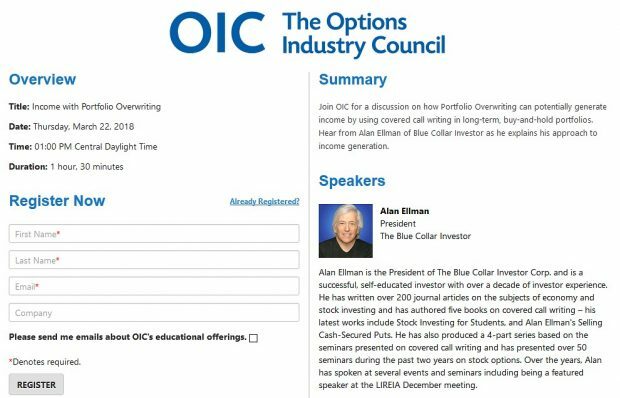 The Options Clearing Corporation operates under the jurisdiction of the U.S. Securities and Exchange Commission (SEC) and the Commodities Futures Trading Commission (CFTC). Under its SEC jurisdiction, the OCC clears transactions for put and call options, stock indexes, foreign currencies, interest rate composites and single-stock futures. It is the ultimate resource in buy/sell option transactions as well as exercise and the assignment. In effect, The OCC guarantees every trade. Let’s say that John buys option A through broker B. 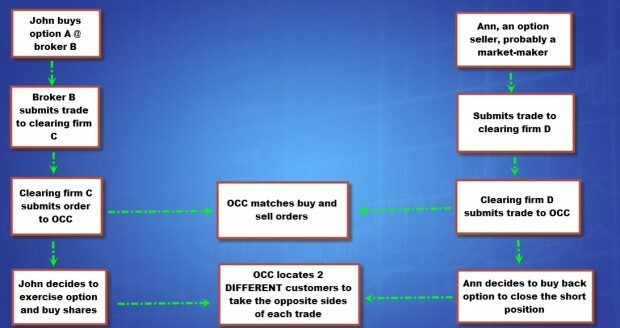 Broker B then submits the trade to clearing firm C which then sends the trade information to the OCC. Many retail investors frequently wonder what happens to the option buyer who bought the contracts we sold and then bought back. The purpose of this article is to demonstrate how the system works to accommodate both buyers and sellers and therefore guarantee all trades executed. For the week, the S&P 500 dropped by 3.1%, for a year-to-date return of 4.8%, including dividends. BCI: This site is anticipating a very strong earnings season but is concerned about recent geo-political and global economic factors that may influence investors in the short term. 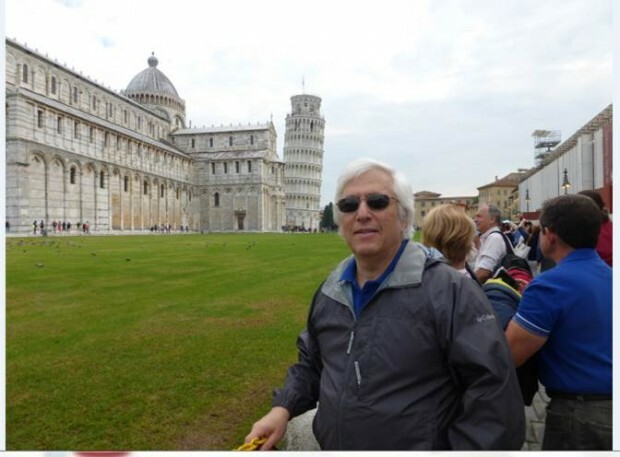 Therefore, despite being bullish on our economy and on the upcoming earnings season, I am taking a cautious approach in all new positions and favoring only in-the-money strikes for all new positions until our markets stabilize. This week’s Weekly Stock Screen And Watch List has been uploaded to The Blue Collar Investor premium member site and is available for download in the “Reports” section. Look for the report dated 10-10-14. There have been a few questions that have come in over the last few months regarding the different sections of the Weekly Report. Just to make sure…your stock selection decisions should be made using the data in the second section…the “Running List”. The data in the first section is used to determine if a stock will make it to the “Running List”. Once a stock passes the screening process and makes it to the “Running List”, we then provide the statistical data to help you select the stocks that best meet your risk profile and portfolio needs. that would be great to meet you in person. That’s very kind of you. I’ve been to London twice and enjoyed both trips very much. For now, it’s off to Venice, Italy and then home to the US. I’ll have to take a rain check. This week’s 8-page report of top-performing ETFs and analysis of ALL Select Sector Components has been uploaded to your premium site. The report also lists Top-performing ETFs with Weekly options as well as the implied volatility of all eligible candidates. With volatility up and the market down, notice how well the inverse ETFs have been performing. This site is anticipating a favorable upcoming earnings season. This week’s Weekly Stock Screen And Watch List has been uploaded to The Blue Collar Investor premium member site and is available for download in the “Reports” section. Look for the report dated 10-17-14.